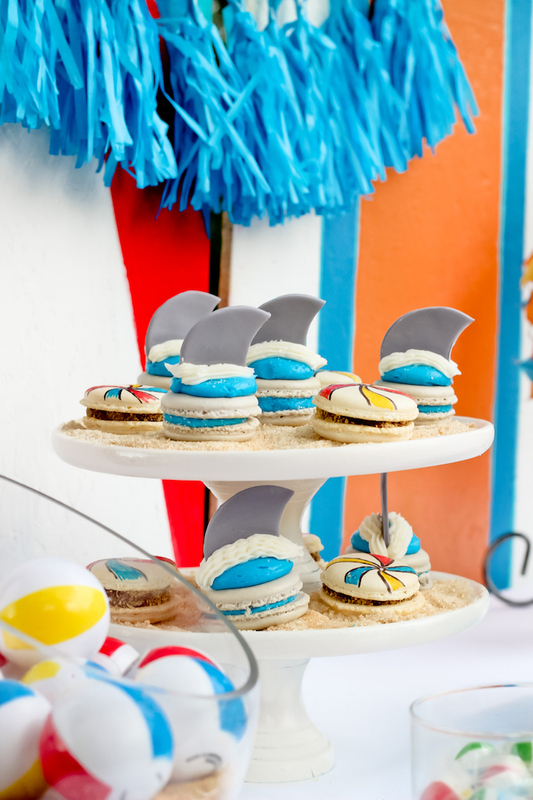 On the horizon, a shark swims ashore, bringing with him fun party ideas for you to adore! 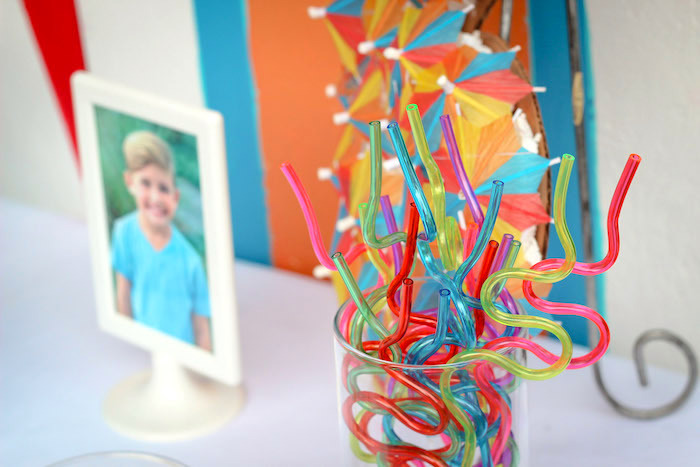 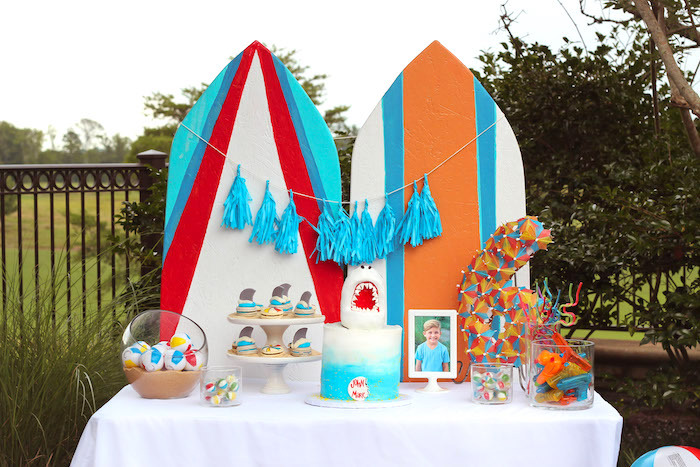 Styled by Sarah Jeffords of Bash Booth, out of Ruston, Louisiana, USA; this Beached Shark Birthday Party is one you’ll want to take a huge bite out of! 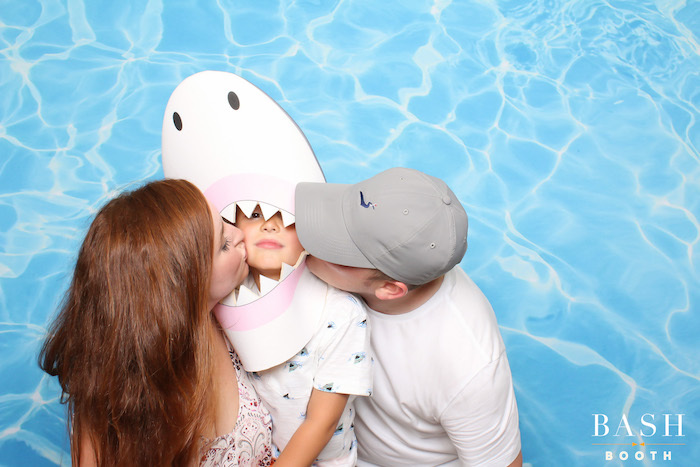 And a fun shark head photo booth! 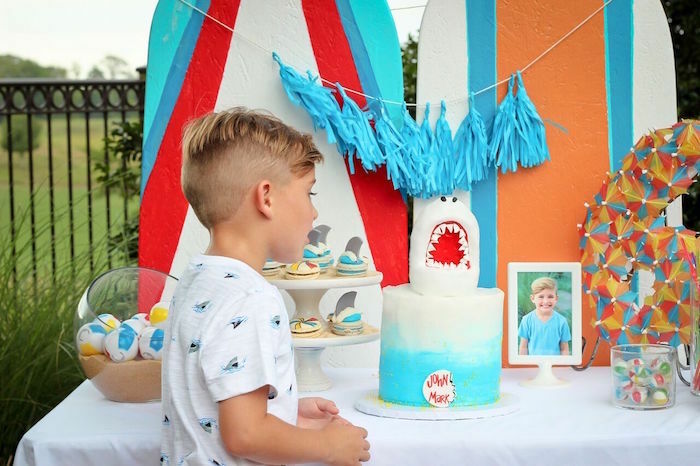 This is what Sarah shared about the party- “John Mark wanted to have a swim party with sharks so we did our best to create a fun party for him and his friends! 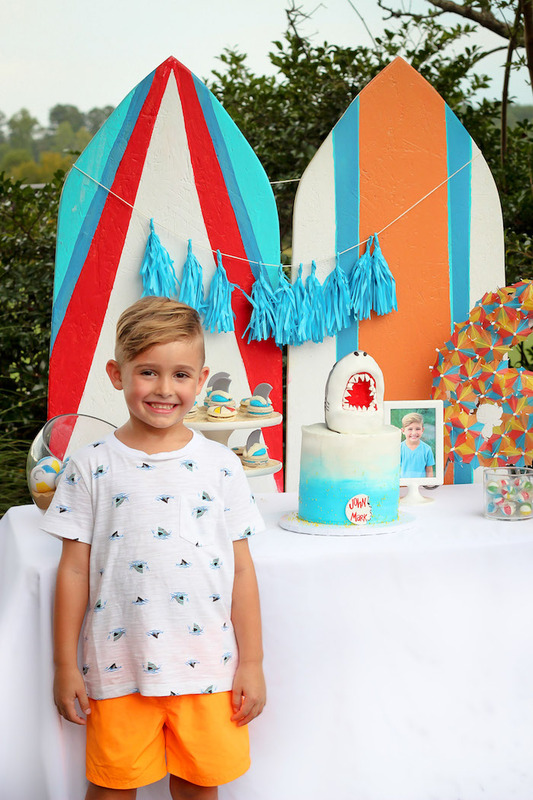 He helped pick out everything from the shark head photo booth props to the cake! 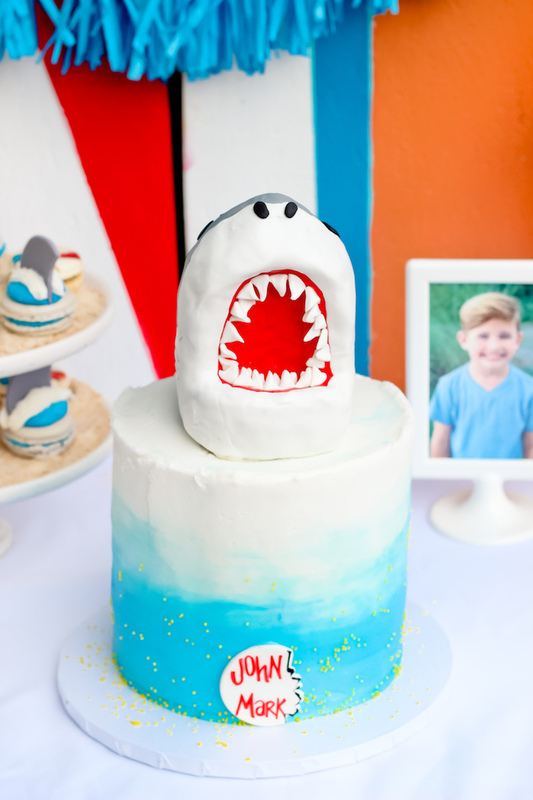 John Mark met with Heather (Social Bites) and they discussed details of the cake: A 3D shark on top was a must! 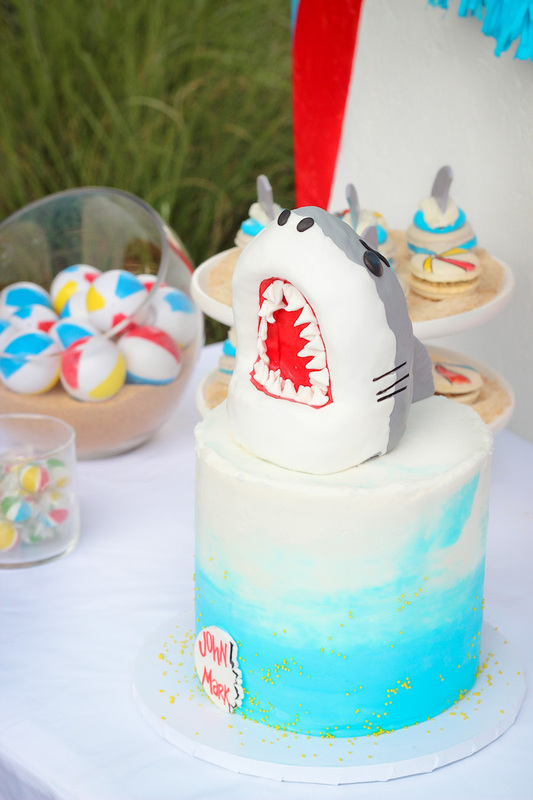 Thankfully she talked him out of the mint flavored icing and the severed leg sticking out of its mouth. 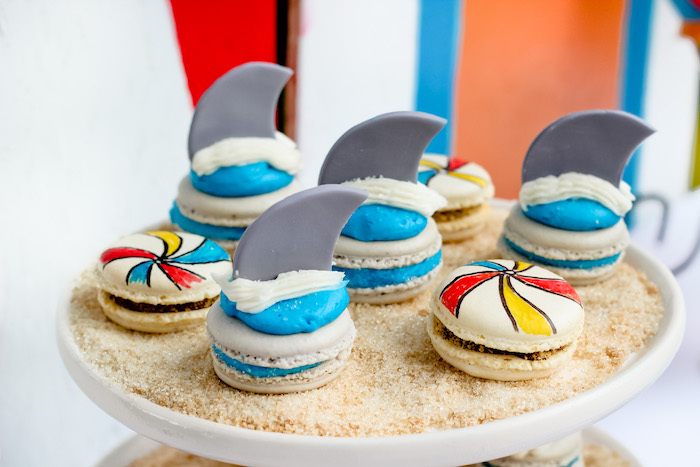 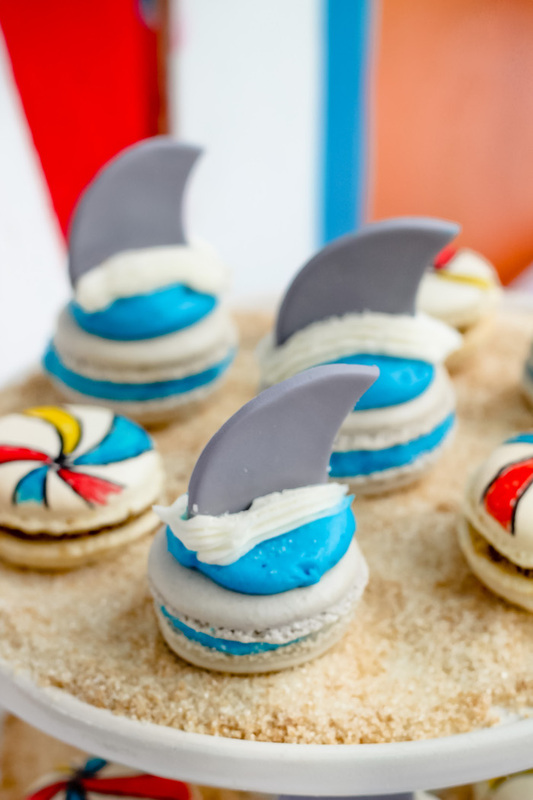 The shark and beach ball macarons were sea salt caramel flavor and were just as tasty as they were cute! 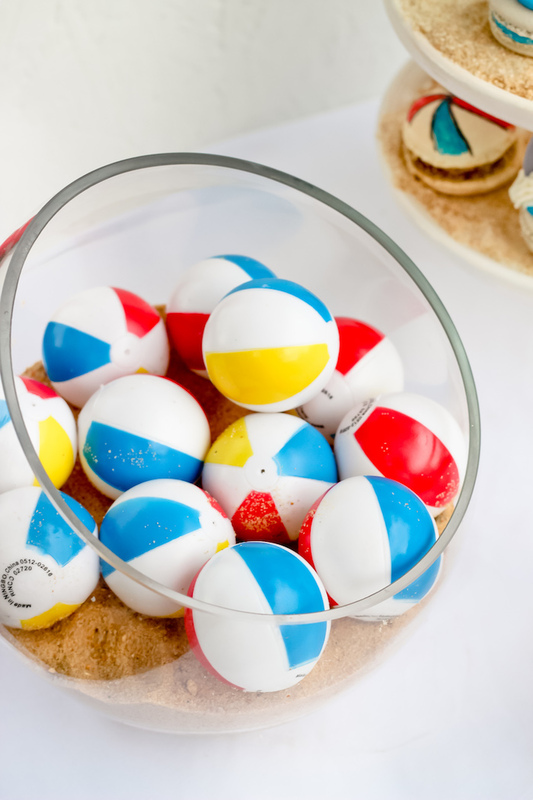 The kids loved the beach ball squirters (they came from Amazon). 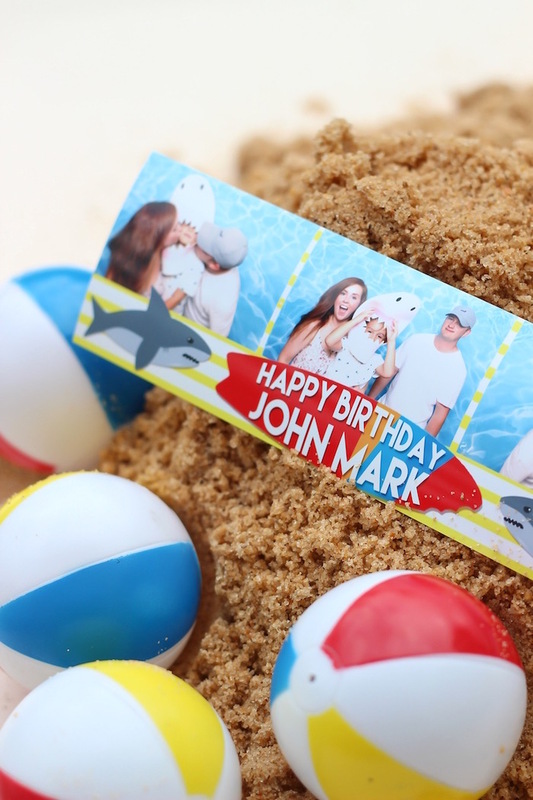 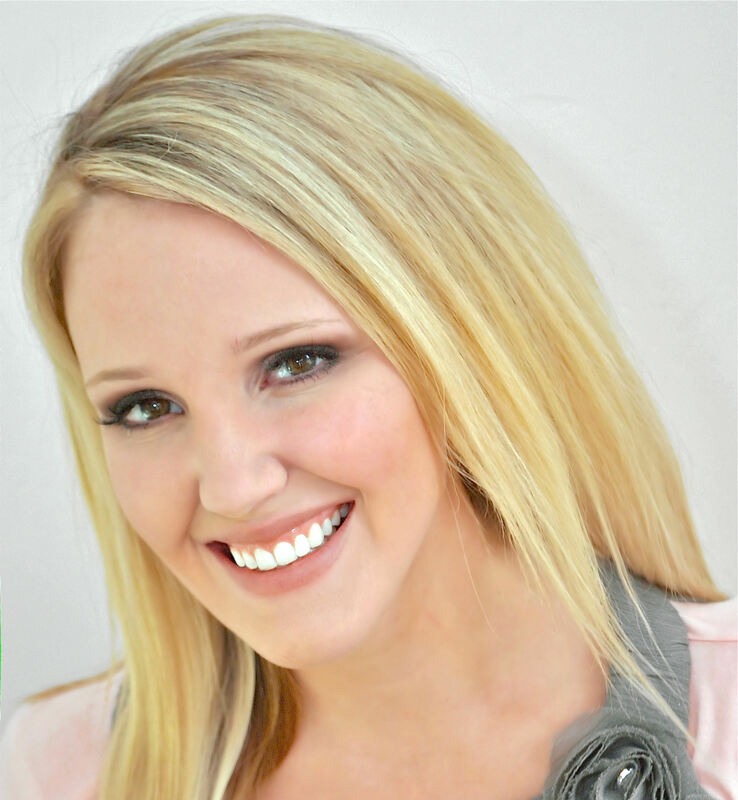 Photo Booth fun was provided by Bash Booth of Ruston, La”. 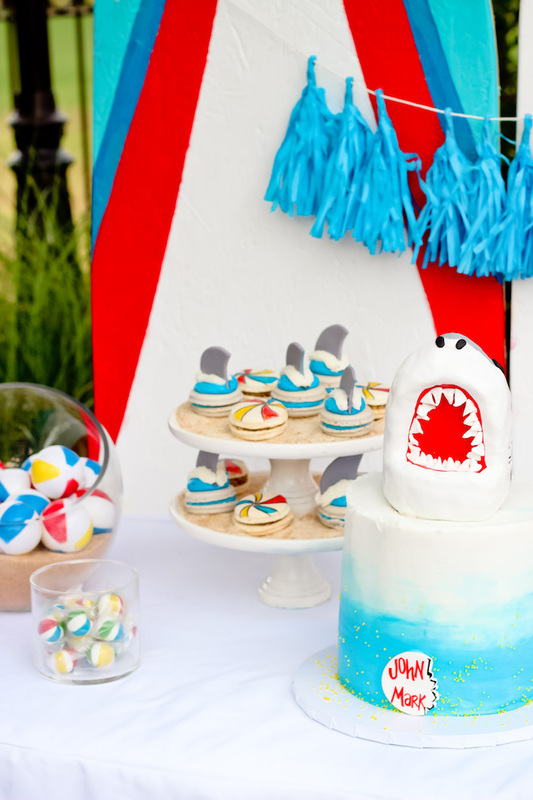 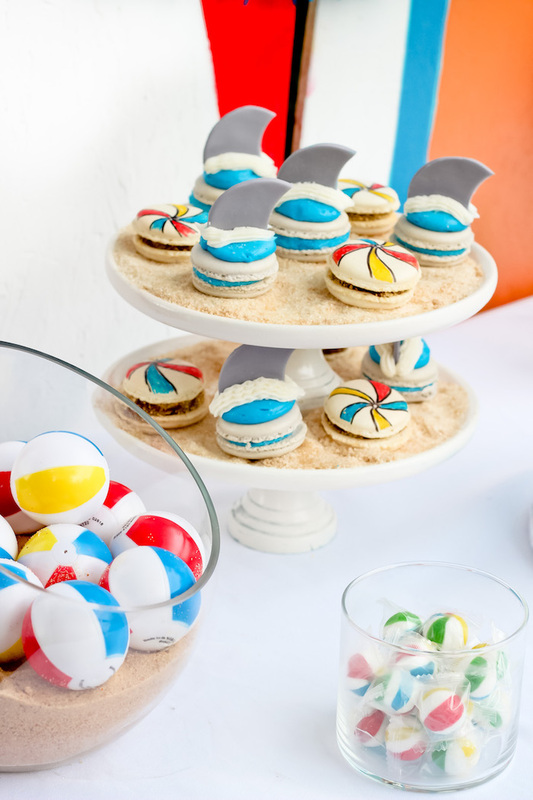 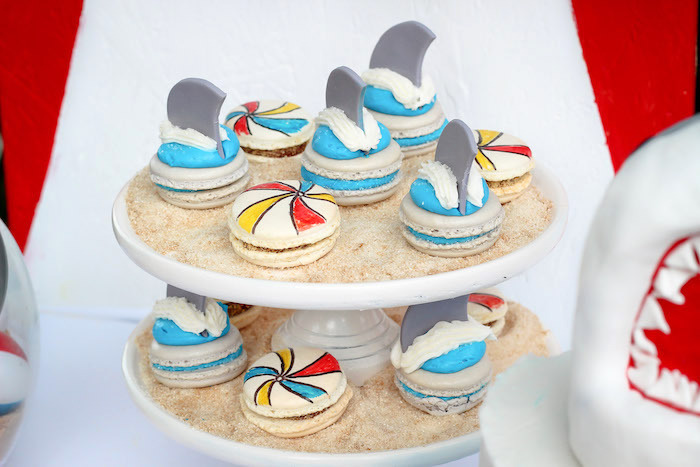 More sea-based party ideas in this “Chomp” Shark Themed Birthday Party!